Create a sleek and appealing dining space by adding one of the many variations of this collection to your space! Elegantly turned legs or a wide pedestal add unique dimension to the design and infuse the table with traditional flair. 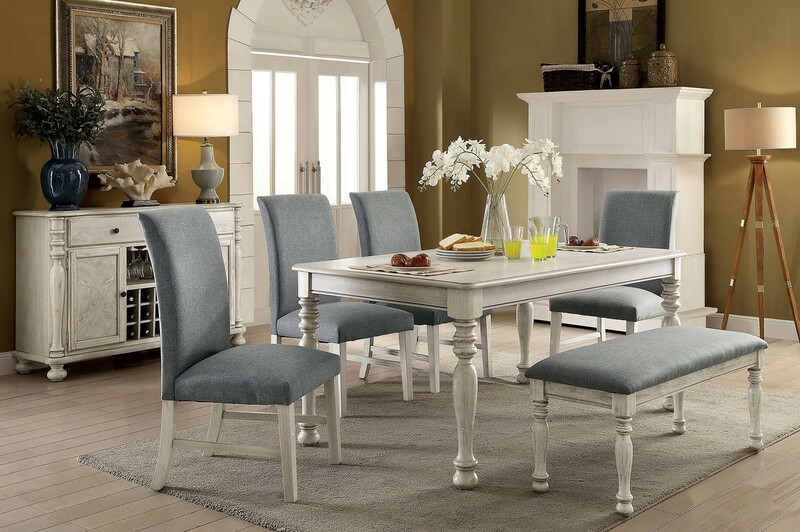 Complete with linen-like upholstered seats for extra comfort, this chic collection will make your family wait eagerly for the next family meal. Set include table and 6 side chairs.ASSEMBLY REQUIRED.